Known for its mountainous landscapes and pristine wilderness, Idaho is a big state with a small population. Just about 1.7 million people reside in the Gem State, and many of those people are struggling to make ends meet. In fact, Idahoans have one of the lowest per capita personal incomes in the nation. Couple this with the fact that Idaho residents spend more, on average, than residents of many other states on food, housing, and other essentials, and it’s no wonder why demand for payday loans in Idaho is so high. Idaho has more than four times as many payday lenders (213) than McDonald’s restaurants (50). That makes it the state with the 11th most payday lenders per capita. Average Credit Card Debt and Median Household Income in Idaho vs. the U.S.
Payday lending is a type of short-term, high interest loan. These loans are most often used by people with bad credit or no credit, who cannot access more traditional lines of financing like credit cards or bank loans. In order to take out a payday loan, a borrower writes a check dated at some point in the future – typically for their next pay date – for both the loan amount and the cost of the loan. The lender uses this check as collateral for the loan. If the borrower doesn’t pay back their loan before the date on the check, the lender will cash that check, or allow the borrower to “roll over” their loan. Rolling over a loan means that the borrower will take out another loan – plus more fees and interest – to cover the cost of their original loan. Payday loans can draw people who are desperate for cash into a long cycle of debt, leaving them worse off financially than they were before they took out the original loan. Payday lending is a big business in Idaho. In 2014, 446,704 payday loans totaling $170 million were taken out by consumers in the state. Later that year, a number of legislative efforts focused on the regulation of short-term lending went through, including the Idaho Credit Code, the Idaho Residential Mortgage Practices Act, and the Idaho Collections Agency Act. Though this increased regulation on the payday lending industry and caused the number of payday lenders in Idaho to drop by 34%, it didn’t stop then all together. Today, Idaho payday loan storefronts are still operating, often using predatory lending practices to lure in borrowers who can’t afford to pay back their loans. Starting in 2001, the Idaho Department of Finance began to vigilantly monitor the practices of Idaho payday lenders and the number of payday loans in Idaho. In July 2003, the Idaho Legislature adopted a set of laws which governed the practice of payday lending in the state. Prior to 2003, payday lenders were authorized to operate in Idaho as regulated lender licensees under the Idaho Credit Code. 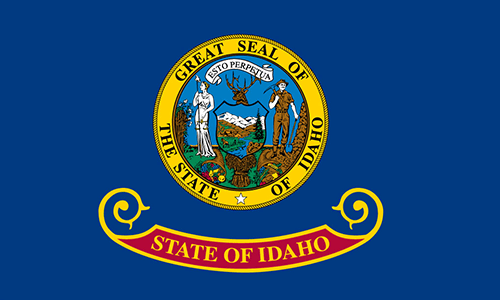 On July 1, 2014, the Idaho Department of Finance added consumer protection changes to Idaho’s Payday Loan Act. The approval of Senate Bill 1314 amended Idaho Payday Loan Act to include new consumer protections for payday borrowers. A payday loan in Idaho cannot not exceed 25% of a borrower’s gross monthly income. The total loan amount cannot exceed $1,000. Payday lenders may only attempt to cash a borrower’s check three times. An extended payment plan is required for borrowers who experience difficulties paying off their loans. The extended payment plan must be timely requested by the borrower with no additional fees added—this allows borrowers to repay a payday loan in Idaho over a 60-day period in four equal installments once per year. Consumer protection disclosures are required to be displayed in 12-point bold and capitalized type. Payday loans are intended to address short-term, not long-term, financial needs. You will be required to pay additional fees if the payday loan is renewed rather than paid in full when due. You have the right to rescind the payday loan at no cost no later than the end of the next business day following the day on which the payday loan is made. Payday loans may contain high-cost features, and borrowers should consider alternative lower-cost loans. If you believe the lender has violated the law, you may file a written complaint with the Idaho Department of Finance. You have a one-time right during any consecutive 12-month period to convert a payday loan into an extended payment plan at no additional costs. The new additions to the Idaho Payday Loan Act were certainly a step in the right direction toward protecting vulnerable consumers. But for now, payday lenders in Idaho still have ample room to trap borrowers with their sky-high interest rates. Unlike many states, which limit the amount of fees a lender is allowed to charge, payday lenders in Idaho can charge as much as they want – so long as the borrower agrees to it. This means that the net amount of APR a borrower must pay on a short-term loan in the state can quickly get out of hand. Idaho is one of 27 states that currently allows payday loans with an APR of 391% or higher. In fact, Idaho payday lenders charge an average of 582% in annual interest on their loans — the highest rate in the nation according to a 2012 Pew Study. Title loans are similar to payday loans, except they use a borrower’s car, and not a pre-dated check, as collateral. If the borrower defaults on the loan or is unable to pay it back on time, the lender is legally allowed to repossess the vehicle and sell it. The Idaho Legislature enacted the Idaho Title Loan Act in 2006. This act defined title loans as “a loan for a consumer purpose that is secured by a non-purchase money security interest in titled personal property and that is scheduled to be repaid in either a single installment or in multiple installments that are not fully amortized.” The law also ensured that title lenders must be licensed under the Idaho Credit Code, and required that title lenders give consumers a disclosure sheet similar to the ones that payday borrowers must get. Title loans offer a chance to borrow significantly more money than you’d get taking out a payday loan, but they’re also significantly more risky. Not only can failing to pay back a title loan put you in a cycle of debt that can be difficult to climb out of, it can also mean losing your car. Many Idaho residents rely on their cars to get to work, so an unpaid title loan could be the loss of an entire career. Idaho may have significantly fewer title lenders than payday lenders, but the state still struggles with protecting consumers from these kinds of predatory loans. In 2013, the total dollar amount of title loans taken out in Idaho was $25,955,543! In 2006, the Idaho Legislature passed the Idaho Title Loan Act as a part of the Idaho Credit Code. The Act states that all provisions of the Idaho Credit Code relating to regulated consumer loans applies to title loans in Idaho as well. Under this law, title loans made by an Idaho lender without first having obtained a regulated lender license are void, which is a good thing for consumers who have been tricked into taking out high interest loans with a lender who is not legit. While this is a step in the right direction, the law does not go very far in helping to protect Idaho residents from potentially losing their vehicle to title lenders. Title loans made without first obtaining a regulated lender license are void. Title loan agreements must include 12-point capitalized bold type for easy-to-read disclosures. The disclosures must also be placed in a visible spot at the lender’s place of business. A debtor has the right to cancel the title loan by the close of business on the next business day after signing the agreement. Under this law, if the borrower cannot make the principal reduction payment, the lender can defer principal payment, but no interest can accrue during that time. If the title loan is automatically renewed per a signed contractual provision, the Idaho title lender must provide the borrower with written notice of the renewal by personal delivery or by regular mail. This process must be completed within 14 days of the renewal, or the renewal will be considered void. Title loans are designed to trap a borrower in an endless cycle of debt. Thankfully, though, the Idaho Legislature has worked to enforce a series of rules and regulations that better protect borrowers from this predatory lending. Idaho title lenders now have to follow strict guidelines to provide title loans in the state. When these regulations are not followed, Idaho lenders risk losing their money due to the invalidity of the loans. Unfortunately, while the Idaho Title Loan Act provides important oversight and enforcement provisions, it still doesn’t address the high interest rates associated with title loans. Over the past few years, the state of Idaho has made some strides in protecting local consumers from predatory payday and title lenders. But there are still a lot of unlicensed and unscrupulous lenders out there exploiting people who are already financially stressed, and this is especially true of online lenders, which are harder to regulate. However, if you are threatened, harassed, or have a negative experience with a licensed or an unlicensed lender, it is important to understand your options. If you seek to file a complaint against a payday or title lender, contact the State of Idaho’s Department of Finance. Use the Department of Finance’s online form for submission, or download a printable form and mail it in. Aside from the Idaho Department of Finance, you can find help and guidance with Idaho Legal Aid. This nonprofit statewide law firm provides equal access to justice for low income people through advocacy and education. If you’re facing payday loan or title loan debt that exceeds $5,000, the Idaho State Bar can help you find private attorneys who can provide you with guidance for righting any wrongs inflicted on you by predatory lenders. You know payday and title loans in Idaho are a problem. But what about at the city level?